In part 1 we reviewed how to tackle your blog’s branding by dreaming of your blog’s place and then creating a mood board. I hope you had fun doing that! Now let’s move on to your blog’s fonts. A font is a name given to any kind of typography. Typography is all about letters and how they look. Different kinds of typography take on specific personalities according to their shape and size and style. Before picking out your fonts, let’s learn a little bit more about them so that you know what you are dealing with. Watch this video from GCF Learn Free. Had you ever heard about those overused fonts? Comic Sans is a classic no-no. Even if you aren’t a designer, when you see that font you know that it’s not a good choice. This means that the importance diminishes from top to bottom. The Title is the most important part of the design, in this case, the name of your blog. The Subtitle is your byline. A second-degree title is your Blog Post Title, but this one is less important than the actual title of the blog. Headings, subheadings, text, and captions are what make the body of you blog. 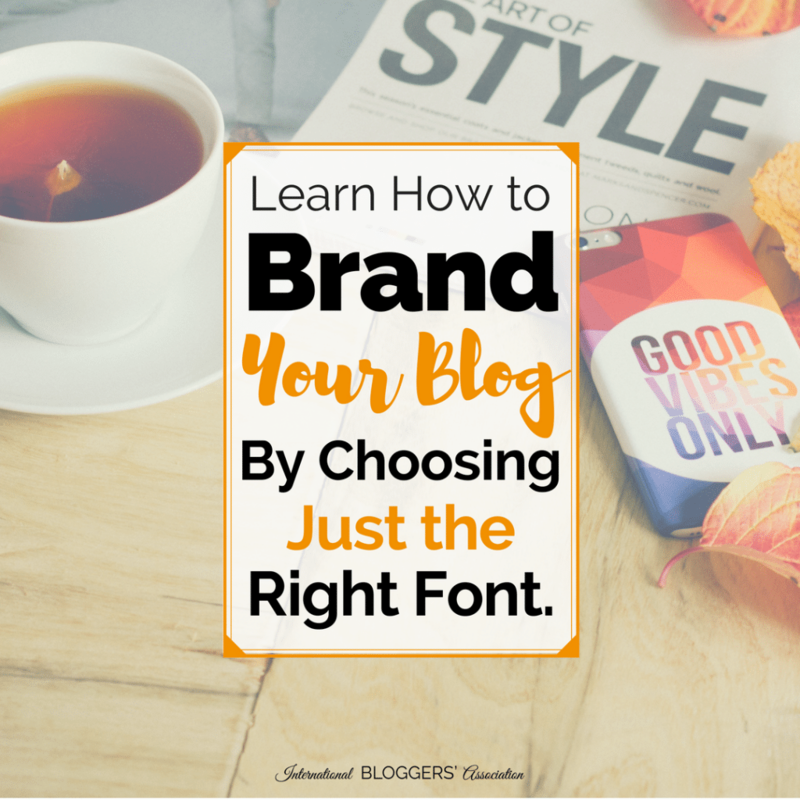 How About Fonts and Typography for Your Blog’s Brand? When you first start out with your blog, you write the title of your blog in the header section of the blog layout. The editor gives you some generic font choices and some other fonts that might be a bit different. Before you have a logo, you can have pretty much whatever font suits your fancy that day, but that does nothing for your branding. 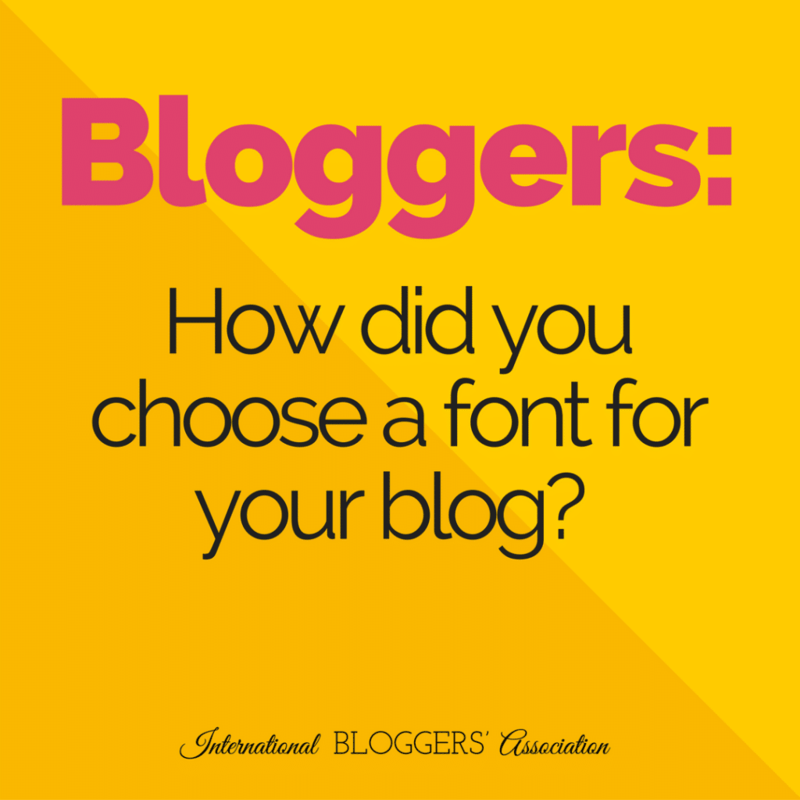 In the meantime; while you sort out a logo for your blog, pick a font that looks good, is readable and has some kind of style that represents you. Remember, the more complicated the font, the more difficult it is to read. To keep a consistent look on your blog, it is a good idea to use the same font from the Blog Title as the Blog Post Titles. When these two titles have the same font, things look linked and well thought out. Once you have a logo, this could change. The text of your blog, meaning the largest amount of readable material needs to be in a very readable font. Your blog will give you very good options for fonts like Arial, Verdana, or Lato. Do not use complicated or fancy fonts for your main text; it will distract and make your blog seem like a middle school print out. The one aspect of the hierarchy that I didn’t mention before is the subheading, more specifically your byline. The byline is the short description of your Blog, which you might use in the header. Another kind of subheading is when you create Title images of Social Media Graphics for your Blog, and you put the title of the blog post and then a short description. You can easily use two different fonts for this. Font pairing is a time-consuming affair, and you will either love it or hate it. It can take hours of changing things around until you are happy with the combination. It is important that you like the final pairing because you will use it a lot. Later on, you can change it but once your brand is defined and very consistent regarding color, feel, and style. The Canva Design School has a great article about font pairings and plenty of examples. Click HERE to read it. Font pairing is fun but can take hours. This article gives lots of ideas to use. 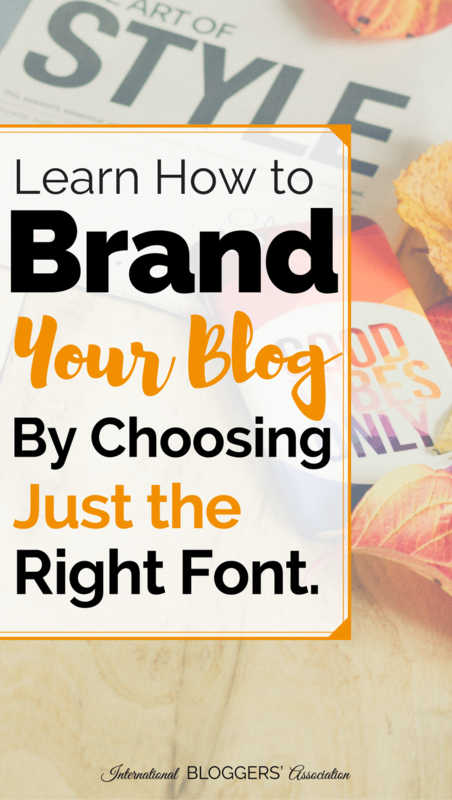 Are the fonts in your blog platform too limited for you? 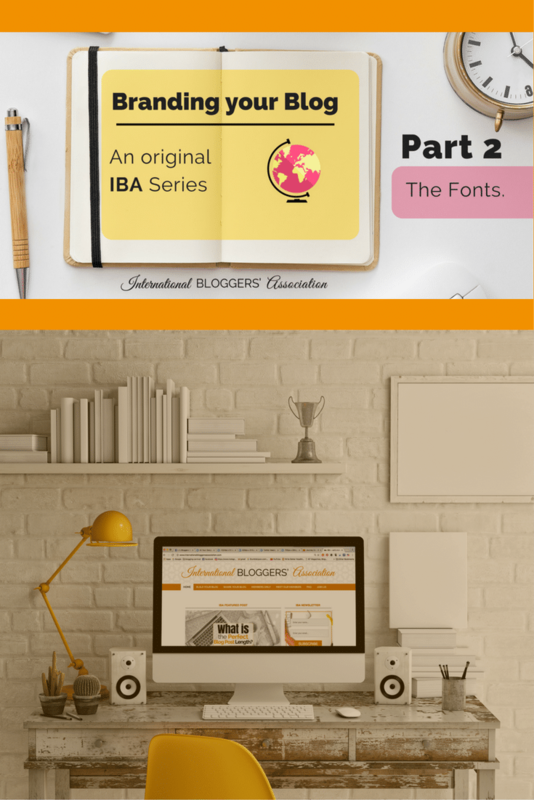 You might want to take a look at some free fonts that are downloadable and free to use for Personal Blogs. Some great site as Dafonts, FreeFonts, GoogleFonts and d for more specialized fonts like hand lettering and calligraphy. If you’re on Instagram, then you must have noticed how hand lettering and calligraphy has become quite popular with the creative crowd. So much so that every day a new “hand lettered” font is released into the wild. These kinds of fonts only work for titles or logos but not for large bodies of text. They are also great for quote images for Instagram or Facebook. Have you ever imagined your own handwriting as a font? It’s actually not impossible to do, and there are plenty of online font generators that will do it for you. Read this article from BuzzFeed that shows you how. Now you have your Mood Board and your Fonts. 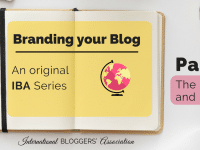 You are two steps closer to branding your blog! Are you interested in making every blog post a masterpiece?